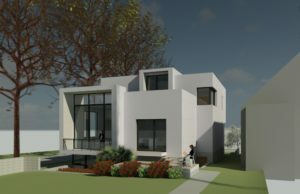 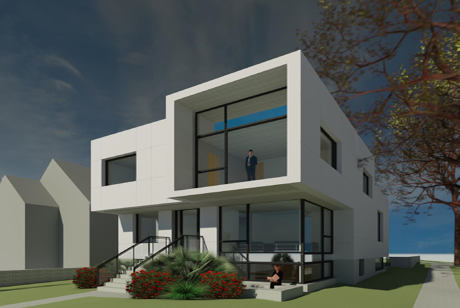 Siu Architecture Inc. is providing full architectural services including passive house design and PHPP energy model on this innovative home for the family of Steve Vranakis, Senior Executive Creative Director at Google Labs and President at D&AD. The design intent pushes the limits of passive house constructability by seeking beauty in an iconic form for a high performance house without being compromised by pragmatism. 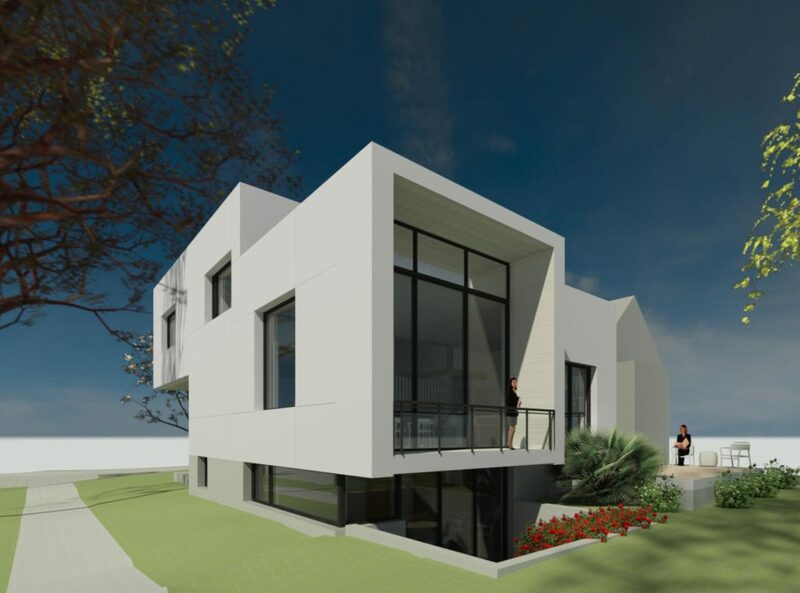 Architectural features include monolithic finishes, stereotomic expression and minimalist detailing. 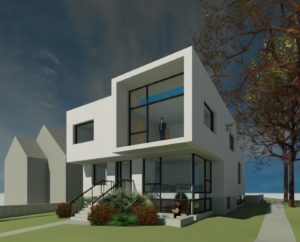 The interiors will be lit with sunlight penetrating through south facing window walls and a clerestory above the screen enclosed stairwell both allowing daylight to reach all the way to the basement. 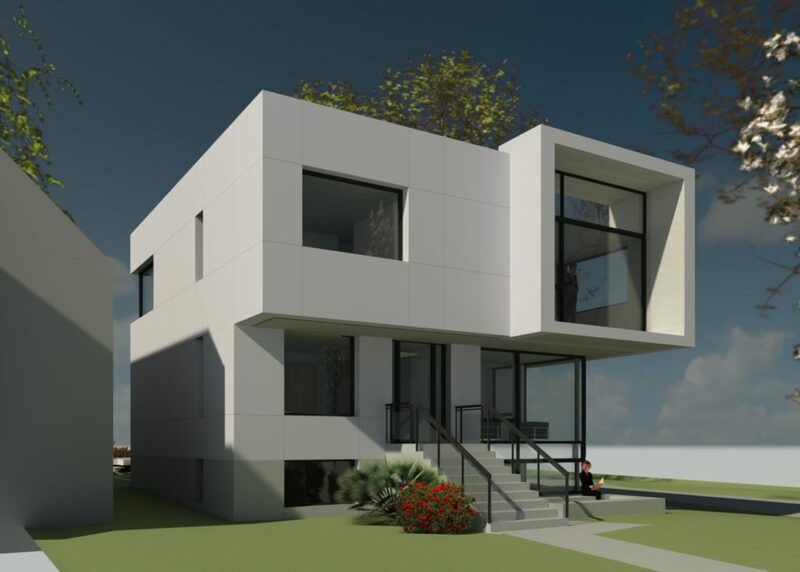 Construction and material costs will be mitigated with efficient structural framing, prefabricated assemblies and modest selection of interior finishes and fixtures. 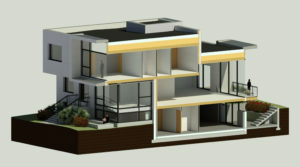 Ultimately, when completed, the Vranakis Passive House will be a dynamic presence in the urban and social fabric of the cosmopolitan Riley Park/Cambie Village/Mount Pleasant cultural enclave on a lot where the Vranakis family has resided for over 50 years.